For an amazing comfort the latex mattresses are good alternative to the memory foam. It contours to your unique body shape and provides excellent support. At Mattrex, we offer the highest quality latex foam mattresses in all sizes and for all budgets. Choose it from brands like AmicOne, Quebeq and Michelangelo, in ranges of sizes from single to super king. We always make sure that you can pick from the best products available. We are committed to customer satisfaction and we do everything we can to constantly add the new best mattresses. 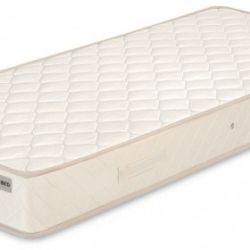 The latex mattresses are perfect for people who need softer, but still durable mattresses. With up to 60% off we make sure that you get the best deals in UK. Latex is also your best option if you are searching for hypoallergenic and anti-microbial products. It is a great choice if you have respiratory problems as well.